Ever grateful for some help and gadgetry in the kitchen I was inspired to share with you my top 5 kitchen favourites. I hummed and haahed about getting this, trying to convince myself it was far too much money (and SO much cheaper in the states!) but eventually I succumbed and I am SOOO glad I did as culinarily* speaking I could not live without it. 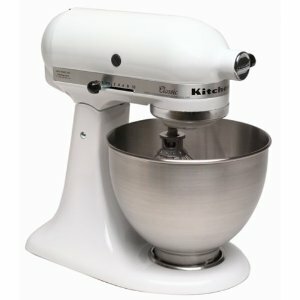 Besides looking beautiful, it mixes, kneads and whisks with elegance and gusto. I went for the basic model, not the artisan as the old bank balance couldn’t quite go the extra £s but it is still absolutely brilliant. Love, love it, love it. *Not sure this is actually a word, but it should be. Funky, tactile and no more hairs to pick out! This stuff is marvellous and another thing introduced to me by the domestic goddess herself (alas, not personally). It is basically a sheet of non-stick. You can bake on it, line cake tins (there are ‘specially cut templates you can buy), dishwash it, use it over and over again. 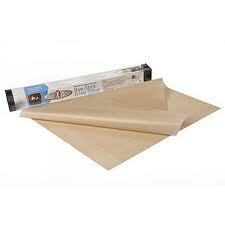 No more cutting out bit of curling greaseproof paper or scrubbing oven trays! These are light, accurate and slip nicely into the drawer! 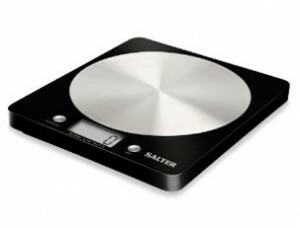 You can keep resetting to zero as you add ingredients which is brilliant and means you don’t have to keep measuring things in different pots. Mine are battered, spilled on and quite old but still on their first set of batteries and working as well as ever. 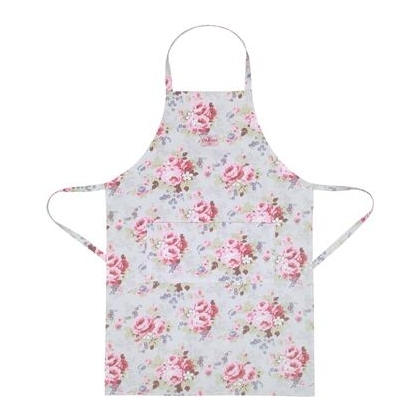 Now, I am a huge Cath Kidston fan anyway and it really doesn’t matter what kind of apron you have but I like to feel kitschy whilst I cook! And you may think an apron is by the bye, but I really use mine! It protects my clothing, has large stuffable pockets for cloths, spatulas and even the odd egg shell. It also serves as an oven glove from time to time. And there’s something comforting about wearing an apron, a bit like wearing your dressing gown. Is that just me? Ahem…Taxi!